Following in Disney and Disney XD's footsteps, ABC has recently aired the pilot TV movie for Star Wars Rebels, called "Spark of Rebellion". However, unlike the previous airings on different stations, the ABC airing had a very special feature to it-never before seen footage including the appearance of the Dark Lord of the Sith, Darth Vader, voiced by James Earl Jones. Vader is seen sending the main antagonist of the series, The Inquisitor, on his quest to hunt down any remaining Jedi, including force- sensitive children. Check out the special scene below. This scene changes the entire tone of not only the series premiere, but the series as a whole, as we get a look into The Inquisitor's tasks of hunting down Jedi children and their masters, while transitioning into said Jedi child and future master, as opposed to simply starting us off with characters we have never met before, while also giving us an establishing villain with some real meaning as opposed to ending the movie on a cliff hanger ending with a character with unknown motives. 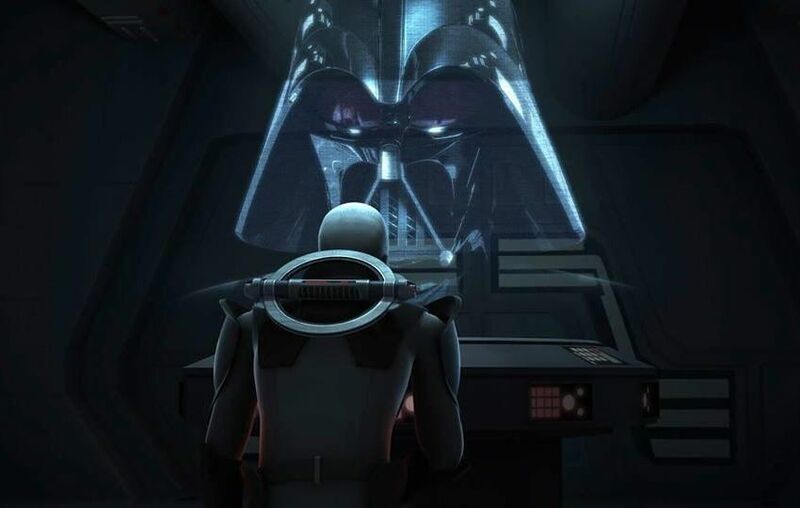 The timing of this scene could not be better as The Inquisitor makes his official episodic premiere on the next episode of Star Wars Rebels this Monday on Disney XD.